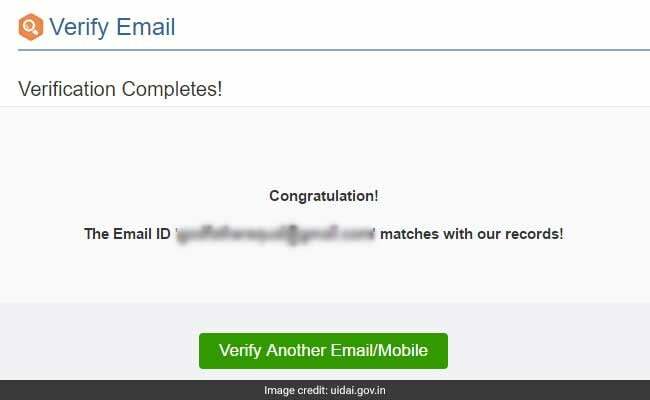 The UIDAI has provided a common tool that enables users to verify their email or mobile number online. This facility can be accessed by a link on the UIDAI official website. Have you checked if the mobile number you gave in your Aadhaar application is fed correctly? 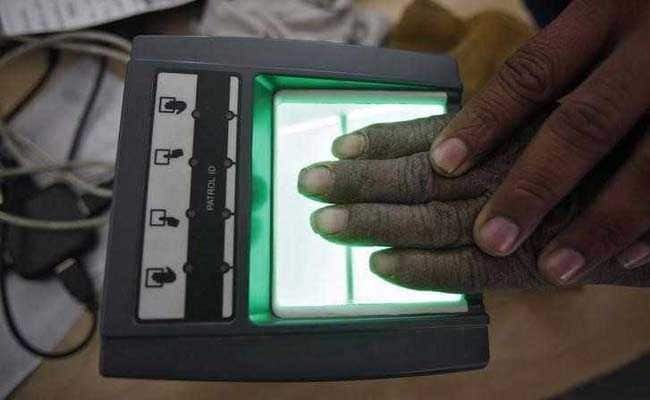 Aadhaar (National ID card), a 12-digit identity number based on biometrics data, is to be quoted mandatorily for many tasks as per latest rules. It is advisable to ensure correct contact information has been fed with the UIDAI or Unique Identification Authority of India. The UIDAI, which issues Aadhaar numbers, has provided online tools that enable verification of details like mobile number and email registered with Aadhaar. Aadhaar-PAN linking is now mandatory for filing income tax returns. If it has not been linked, your return will not be processed. August 31 is the deadline set for doing so. 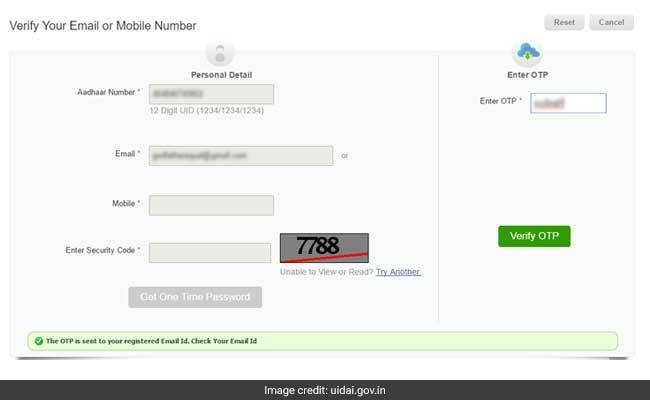 Among various tools given on the UIDAI website - uidai.gov.in - is the 'Verify Email/Mobile Number' tool. 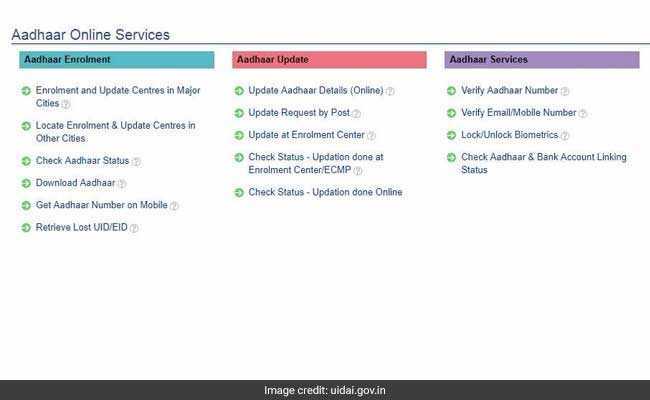 "This feature can be used to verify email address and mobile number that has been declared during enrolment or latest successful processed update request, whichever is later," reads a message on the UIDAI portal. The UIDAI has provided a common tool that enables users to verify their email or mobile number online. This facility can be accessed by a link on the UIDAI website. 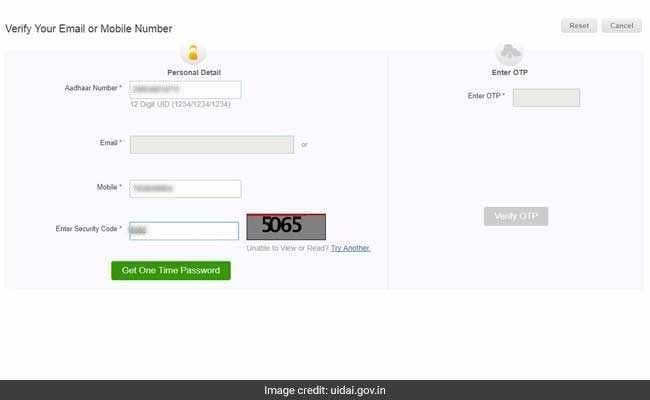 Another way to access the 'Verify Email/Mobile Number' tool is by visiting the UIDAI website homepage and clicking on a link by the same name on right hand side (in third column in the image above). On the next page, fill in the mandatory fields in the form, titled 'Verify Your Email or Mobile Number'. Enter your 12-digit Aadhaar number, the email address you are looking to verify and security code in the respective fields. Click the 'Get One Time Password' button. OTP or one-time password is the password you receive on your mobile number for submitting a verification request. This OTP is sent to the email address registered with your Aadhaar. In the next step, the online tool displays a message saying: "The OTP is sent to your registered Email ID. Check your Email ID." Go to your inbox - of the email account you want to verify - and look for an email containing the OTP. Enter the OTP received on email in the field on the right hand side of the page and click on the 'Verify OTP' button. All letters to be filled are case sensitive, which means uppercase and lowercase letters count as different characters, according to the UIDAI website. In case of valid entries, the tool displays the message: "Congratulation! The Email ID matches with our records!" 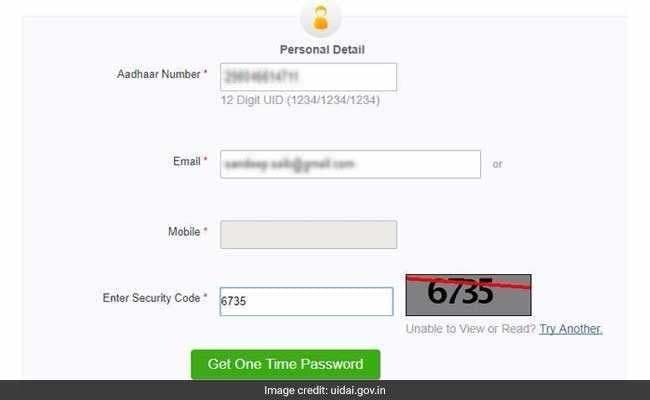 Fill in the Aadhaar number, mobile number and security code in the respective fields and click on 'Get One Time Password'. You will shortly receive your Aadhaar mobile verification code in an SMS. This password is sent to the number registered with Aadhaar. Enter the password received on your mobile in the OTP field. Push the 'Verify OTP' button. 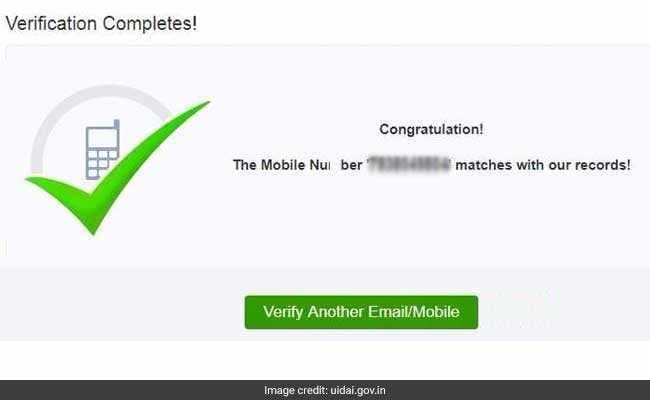 Mobile number not registered with Aadhaar? "Registered Mobile Number is essential to avail Aadhaar Online services," according to the UIDAI. In case your mobile number is not registered with your Aadhaar, visit the nearest Permanent Aadhaar Centre (PAC), it adds.